My tractor-lovin neighbor was at it again this morning. 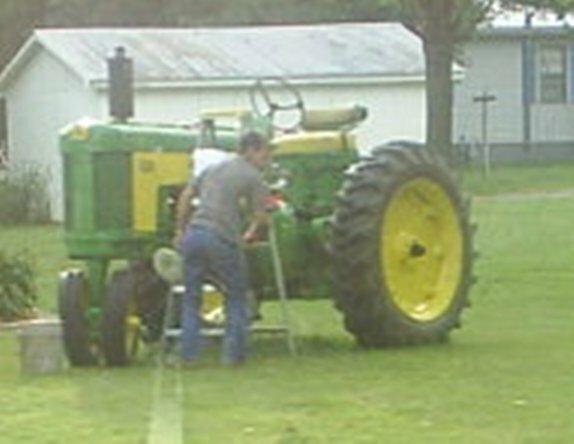 As I was driving to work (…not walking today because the heat index is supposed to be 105…too hot for walking), I noticed he was on a ladder buffing his new tractor. I just had to take a picture. So I turned around, got the camera out, and drove back for the drive-by. It just so happens that he was off the ladder and now windexing the motor. This man loves his tractor. 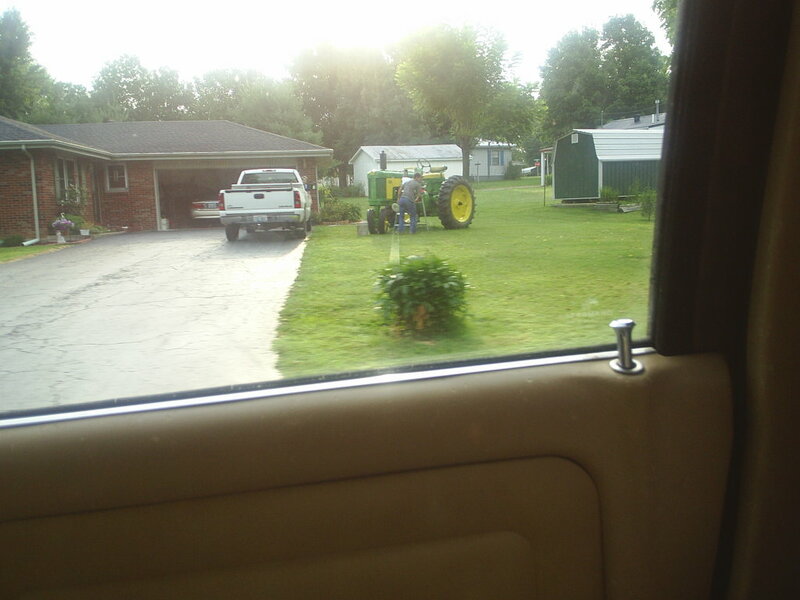 Two pics: from my truck and a zoomed in shot of the buffer (look at this left hand). I love the tractor stories, but Mr. John Deere needs a name. Either find out his real one or use that creative brain of yours to make up one! Miss you guys. Please hug Jennifer for me. His name is Mr. Wright. I read his mailbox. That’s just as funny. As if he’s “Mr. Right”…right for having the shiniest tractor in town. Too fun.